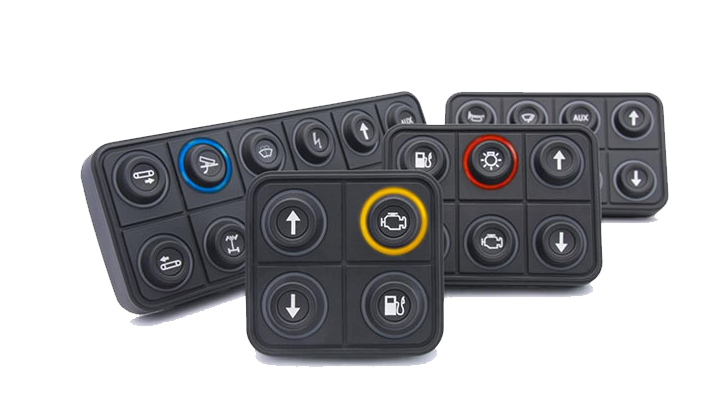 THE MOST FLEXIBLE CAN KEYPAD ON THE MARKET. 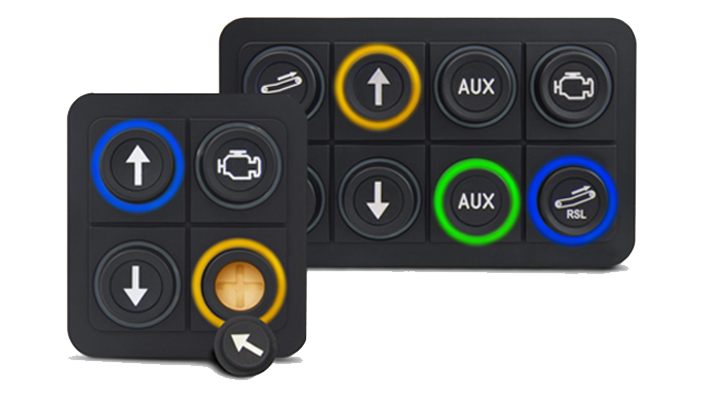 Keypads in the PRO series are the only ones currently on the market that boast keys with removable inserts. 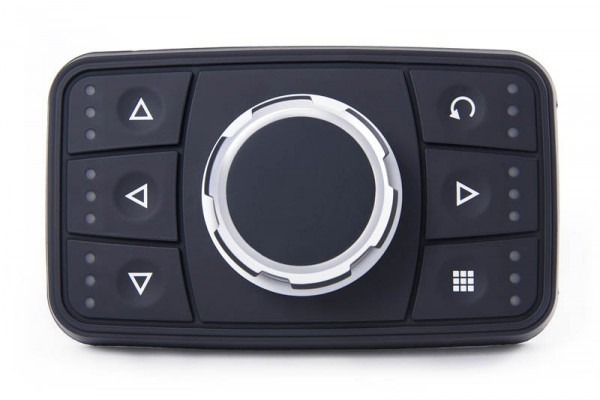 PKP Keypads are available in two series with two different icon insert sizes. 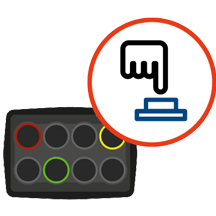 The PKP-SI series presents small inserts (15mm) and a compact design, while the PKP-LI series is designed with large, 24mm inserts that are easy to press, even while wearing gloves. 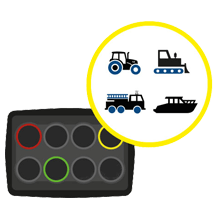 The use of open protocols makes keypads in the PRO series perfect for both automotive and nautical markets. Designed for even the harshest conditions, the PowerKey PRO withstands the cleaning force of pressure washers and holds on IP67 rating, making it immune to water, mud, soil, sand, oil, chemicals or anything else thrown at it. 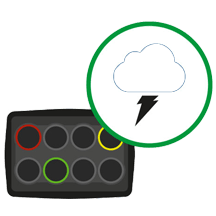 Assign any valid CAN address to the keypad while also assigning the same or a different RS485 address. Communicate on either BUS simultaneously. 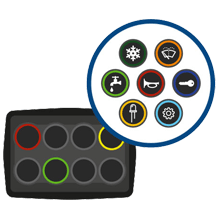 The replacement system for individual inserts makes modifying the keypad layout simpler and more economical. Hundreds of different pre-existing keys can be viewed, and it is possible to order customized inserts. 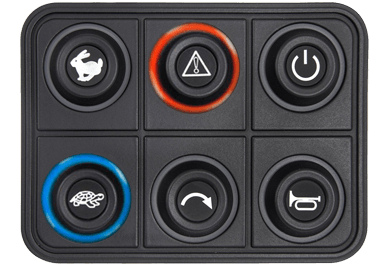 With simple Icons, large buttons and bright LED indicators, the PowerKey PRO can-bus keypad is easy to read in any situation. The multi-colored LED status rings also allow you to set specific colors for specific functions.